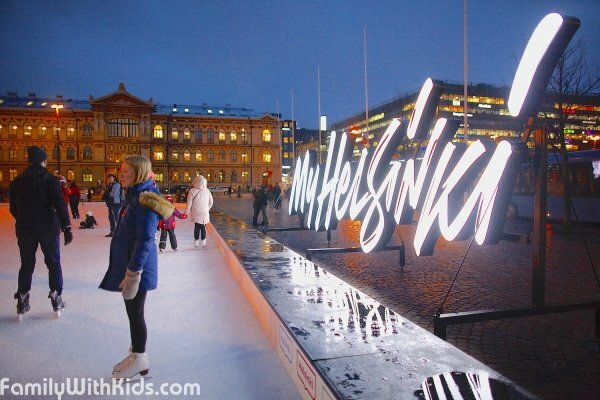 These images of the Ice Park or JääPuisto Skating Rink in the center of Helsinki were taken in January 2018. The Ice Park operates longer hours during the winter school break. The rink has an equipment rental point, a tiny free storage, and a small cozy cafe, where kids and adults can have a hot beverage and a bun, warm up and get some rest. This is a photo-review of the SuperPark in Espoo. The park is relatively new and has a nice chill out & food area, six sports trampolines, two foam pits, a skate park for scooters, a climbing corner and a number of fun activities and games like basketball, football, American football, golf and many more. This is our photo-review of the GetAir Espoo Trampoline Park, which opened in October of 2017. The park offers various obstacle courses and a huge hall full of trampolines. There is the Little Air special zone for kids with height under 140 cm. There are party tables available, as well as a special room for celebrations. This is a photo review of the BK Espoo bouldering center, which opened in October 2017. 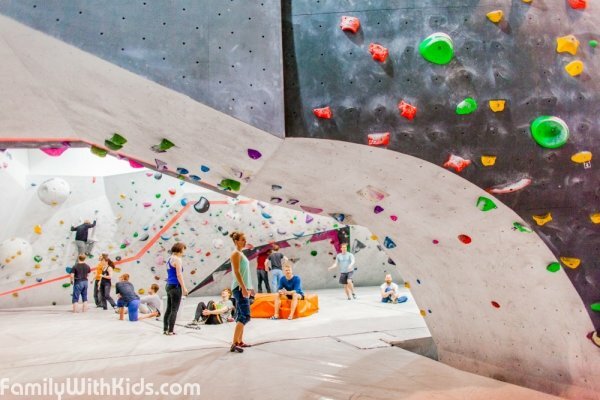 It is a bouldering hall for kids and adults. 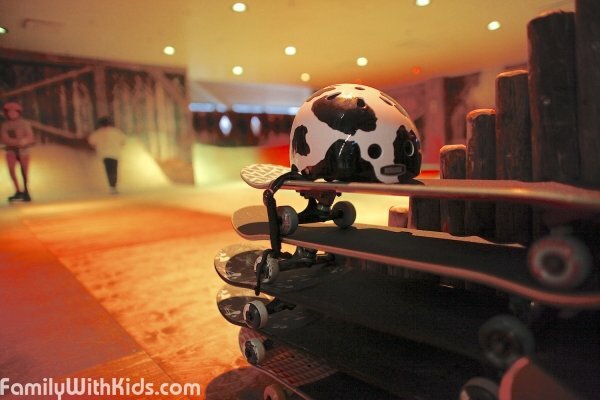 There is a separate small training corner for kids and beginners, where they can climb onto the wall and come back down in a bright red slide. BK Espoo offers climbing shoes for rent, but it is also possible to buy them at the hall's store. There are changing rooms and a rest area with sofas and mats on the floor. 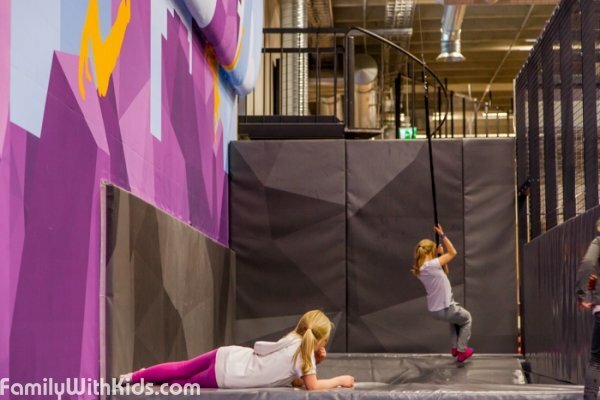 The height of the walls at the Kiipeilareena climbing gym is up to 29 meters, there is a bouldering hall as well and courses with automatic belaying. The center has a shop of equipment for climbers (including shoes), there are changing rooms and chill out zone with vending machines. 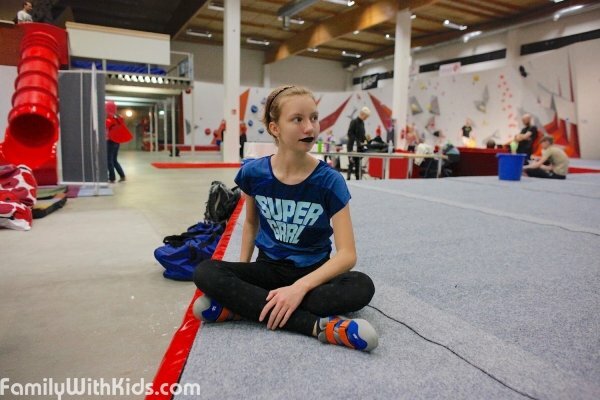 Kiipeilareena offers classes for kids individually and in groups (under 10 and over 10 years old), and hosts summer camp for young climbers. 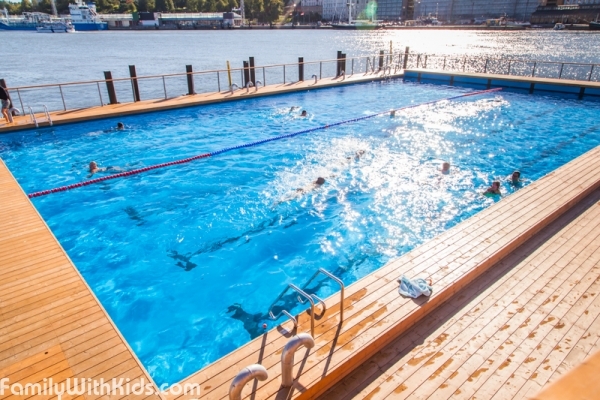 Photo review of the Allas seaside pool in the center of Helsinki, which opened in august 2016. The complex has three heated pools: fresh water for kids, fresh water for all, and seawater pool. Allas is open year round, there is a sun deck and a cafe open by the pools. Photos of the rope park at the Laajavuori-Laajis ski resort near Jyväskylä, Central Finland. The park includes 8 courses for adults and 2 specially equipped courses for children. The total distance of the courses is over 2,2 km, which makes Laajis the largest park in Northern Europe. 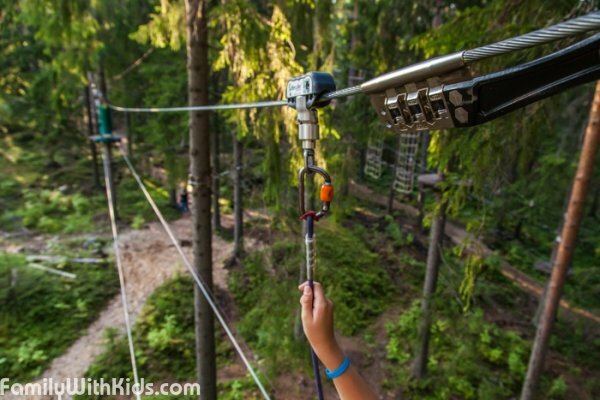 Photoreview of the Super Park, an adventure and sports park in Oulu, Northern Finland. 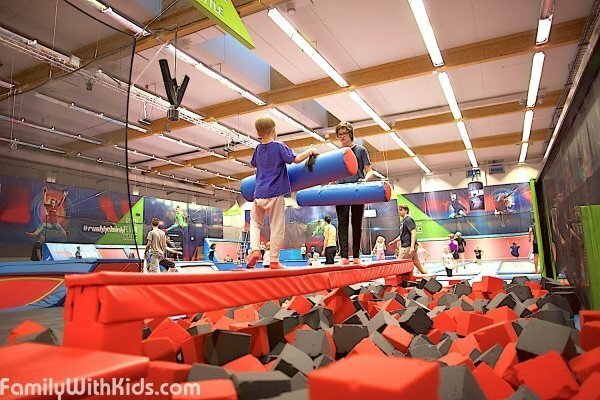 A collection of photos of children's sports centers, classes, sports fields, arenas, gyms, and schools in Finland.